Lots of things are going on here at HRR! Click below to find out. 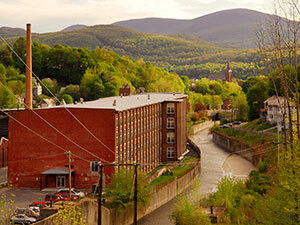 Re-establish the Hoosic River as the heart of North Adams’ economy and community. Given the severity of repeated flood events from the 1920s through the 1940s, our community sought an engineering solution from the U.S. Army Corps of Engineers. While the resulting 15 foot-high concrete chutes and earthen walls have protected the city from flooding for over 60 years, their singular function has all but removed the river as an asset to the city. the preliminary design for the pilot project includes improved habitat for river species, reimagined recreational facilities, well-planned paths, and a host of amenities for residents and visitors. These improvements will transform the area while still maintaining the existing level of flood protection. Each journey begins with a first step. 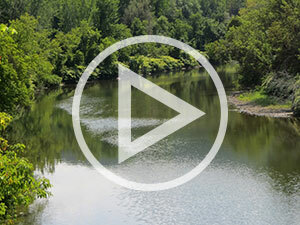 For the Hoosic River restoration, this meant identifying a key section of the river to serve as a test project. This pilot incorporates many key elements which the community identified as important through community conversations held to solicit the ideas and dreams of North Adams’ residents. River specialists now know brute engineering to control natural forces is not often the best approach. Designs capitalizing on natural processes are more likely to succeed and be sustainable. For example, reestablishing a river’s connection to historic floodplains provides a natural ‘relief valve’ for flood waters. Based on river conditions further upstream, the goal of the in-channel restoration is to develop and enhance stable river corridor habitats, improve water quality, reestablish riverine habitats, and restore in-stream connectivity. This strategy results in a design that is largely self-maintaining, reducing overall long-term costs. A revitalized Hoosic River will bring renewed flood protection whilst bringing the river back to the residents of North Adams. In response to many people asking ‘how can you change the river walls?’ or ‘will you maintain flood protection?’ or ‘what are the benefits in doing all this’, the River Revival commissioned Bill Matthiesen at Berkshire Film and Video to make this short film. 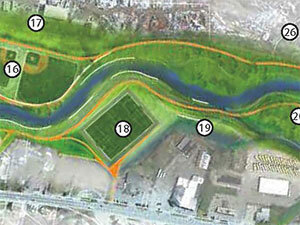 Inter-Fluve and Sasaki, both internationally recognized river restoration/urban design firms, helped create the half mile, detailed design pilot project, and also a conceptual design for the entire South Branch. Exciting things are happening at HRR! We now have a design for our demonstration project on the South Branch, with a goal of creating a swimmable, fishable, boatable Hoosic River. But we need your help to keep the momentum going and would appreciate any support you can give us!